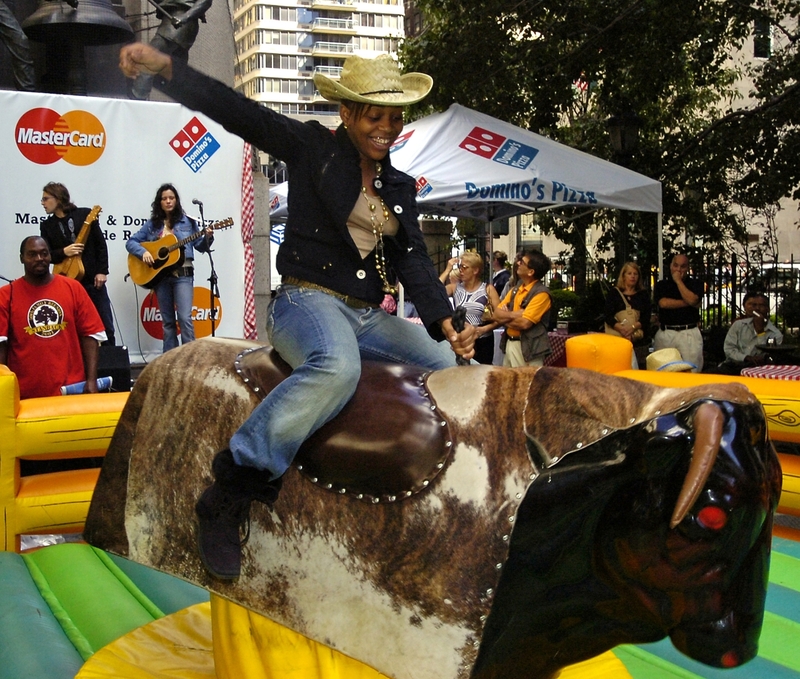 Country Singer in New York's Herald Square today appeared in a dude ranch set up, complete with bull riding and lasso lessons, to introduce Domino's Pizza's new Steak Fanatic Pizza. The event also introduced a special promotion between Domino's and MasterCard which gives customers a chance to win their own week at a dude ranch. Check out the mechanical bull here.